Every year, like clockwork, the Patriots bring on a bevy of undrafted free agents and it seems at least one sticks on the roster, many times carving out a nice role for themselves. Malcolm Butler just left and signed a big contract with the Tennessee Titans but a few years ago he was an undrafted free agent like this latest crop and no one gave him much of a chance to make the roster. We remember early in his first year after a training camp practice, he came over to the media area on the side of the practice field and was hardly spoken to until about midway thru training camp. No one believed he’d make the cut. He soon changed a lot of minds and was, after that, a popular player to interview. This year’s crop of free agents? Several look very intriguing but the best of the group may be former Maryland Terrapin cornerback J.C. Jackson. Durkin believed enough in Jackson to give him a fresh start and he made the most of it. Jackson himself believes that he’s a different person now and knew he was not on the right track. He’s straightened his life out and has made quite a turnaround. He started in 23 of 24 games for Maryland and in 2017 made 40 tackles, three interceptions, with seven passes defensed. The Terps had a terrible season last year, but it had more to do with their rash of QB injuries as much as anything else. Because of this, Jackson largely flew under the radar. But that is just scratching the surface. Jackson is a tough physical, if slightly undersized corner who is solid in run support, tackles well and provides very good man coverage. 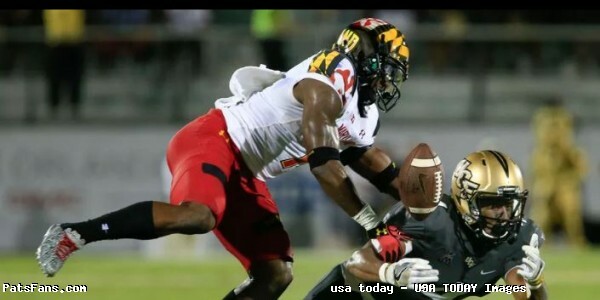 Jackson has good athleticism and he will fight for the ball at the high point. While he isn’t a burner and doesn’t possess great top end speed, he’s quick off the line and at the snap he can lock up with a receiver and is very physical. His first step quickness may lend itself to the slot if that is where the team decides to move him, something he’s already said that he isn’t averse to. He’s done a really good job of disrupting the timing of receivers, which is essential at the next level. He’s solidly built and wants to get in on every tackle. Some of the things that he’ll have to work on with the Patriots, like many college corners, he tends to get grabby if he misses his jam at the line of scrimmage. While he’s shown good recovery, he is a bit stiff in the hips at times when a receiver is coming out of his breaks. Jackson would immediately challenge for a role on the Patriots Special Teams, which everyone knows is the first step to making the team. But with his physicality, and ability to play either outside or in the slot, he has as good a chance at any at sticking on the roster. 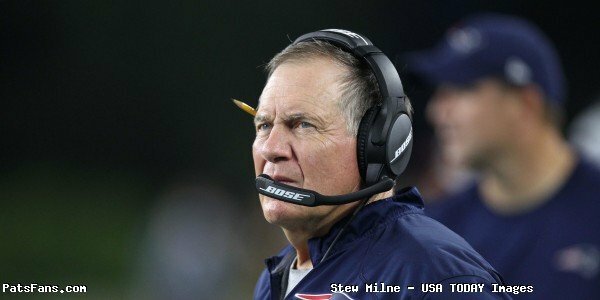 The Patriots right now have Stephon Gilmore, Eric Rowe, Jason McCourty, Jonathan Jones, Cyrus Jones, Jomal Wiltz, Ryan Lewis, as well as draft picks Duke Dawson and Keion Crossen with Jackson makes a pretty crowded roster at the position but there will be some opportunities to turn some heads this spring. I like his compete level, the ability to play either man coverage or zone and his willingness to fire up inside on run support. He’ shown the ability to undercut routes and has the ability to get better in all phases of his game. Jackson is a guy whose best football may be in front of him. He’ll be a guy we’ll watch closely as minicamps and training camp is just around the corner. This entry was posted in 2018 Patriots Offseason, NFL Commentary, Patriots Commentary, Patriots News and tagged 2018 NFL Draft, 2018 Patriots Free Agency, 2018 Patriots offseason, 53 Man Roster Projection, Cyrus Jones, Danny Amendola, Duke Dawson, Eric Rowe, JC Jackson, Jomal Wiltz, Jonathan Jones, Malcolm Butler, New England Patriots, NFL, Patriots, Patriots cornerbacks, Stephon Gilmore on May 3, 2018 by Steve Balestrieri. The McCourty twins are finally getting a chance to play together when the Patriots traded for Jason McCourty in a very low cost/risk, high-reward type of deal. McCourty was about to released by the Browns in a cost-cutting move when the Patriots approached the Browns and offered their sixth-round pick for the Browns’ 7th rounder and McCourty. So for moving back 15 spots at the back end of the draft, the Patriots get a very serviceable corner and a guy that they tried to bring in more than once before. McCourty, 30, was originally drafted by the Tennessee Titans in the 6th round (203rd overall) in the 2009 NFL Draft. He is considered, (like his brother) as a great locker room influence on both the younger players and veterans alike. His $3 million dollar cap hit is extremely affordable. 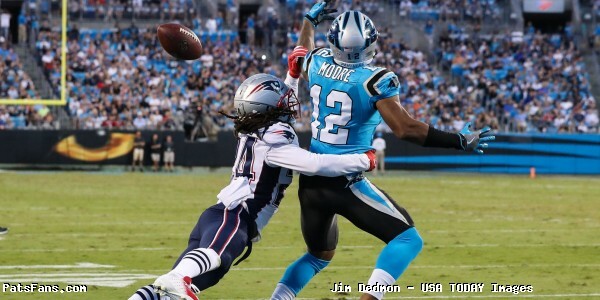 What does it mean for the Patriots secondary? He’s another 6-foot tall corner that can play on the boundary or possibly be moved into the slot. With Malcolm Butler now in Tennessee, the Patriots needed at least another corner with a veteran presence and now that block is checked. I still believe that they’ll draft a corner in the upcoming draft. Perhaps now it will be a mid-round pick. It gives them options and much-needed depth at the position as they’ll be able to present different looks depending on matchups. 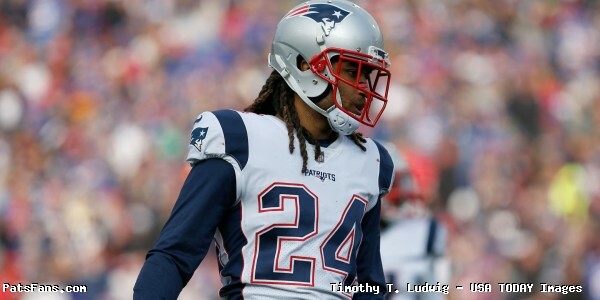 But for now, the cornerback situation has Stephon Gilmore, Eric Rowe, McCourty, Jonathan Jones, Cyrus Jones, as well as practice squad players Ryan Lewis and Jomal Wiltz signed for 2018. The cupboard is hardly bare there and if both of the Jones are healthy to begin training camp, (especially Jonathan in the slot) then the team is in good shape moving forward. It was interesting to see some of the comments pooh-poohing the Rutgers connection for the Patriots and former Scarlet Knight head coach Greg Schiano. The Rutgers connection has actually worked out quite well for the Patriots. The McCourty twins, Logan Ryan, Duron Harmon and yes, Steve Belichick, the current Patriots safeties coach were all Rutgers alums and played for Schiano. Hardly a collection of stiffs.Other names who played under Schiano and made brief stops in New England were Tiquan Underwood and Alex Silvestro. While it wasn’t the splash signing that fans were clamoring for, it was a very low-risk, high reward type of deal. He was a guy the Patriots tried to bring in once before and it didn’t work out. Now they have their man and they can continue to move forward with re-tooling the defense. 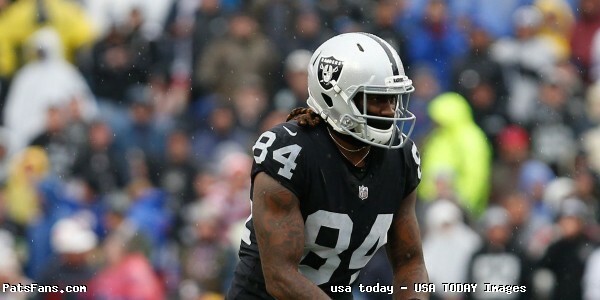 Rumors are Adrian Clayborn is in town for a visit on Friday morning. They still need some much-needed depth and athleticism at the linebacker position. 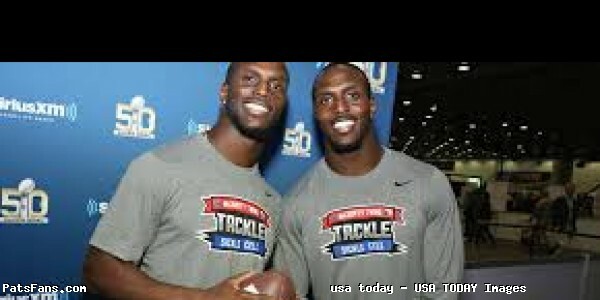 But for the McCourty twins who haven’t played together since Rutgers, they’ll finally get the chance to suit up together in the NFL. The Patriots get a good corner who graded out well according to Pro Football Focus in 2017 in his only season with the Browns. 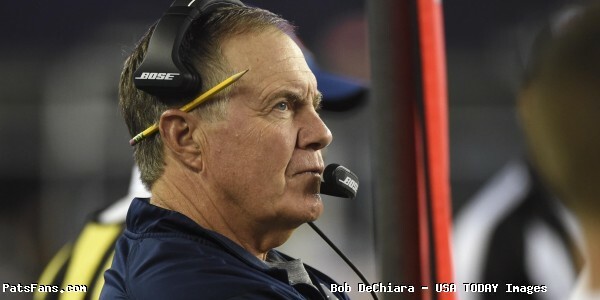 This entry was posted in 2018 Patriots Offseason, NFL News, Patriots Commentary and tagged 2018 Free Agency, 2018 Patriots Free Agency, Bill Belichick, Cyrus Jones, Devin McCourty, Eric Rowe, Jason McCourty, Jonathan Jones, Malcolm Butler, New England Patriots, NFL, Patriots cornerbacks, Stephon Gilmore on March 16, 2018 by Steve Balestrieri. The Patriots and Texans have finished their joint practices and meet in Houston on Saturday night at 8 p.m. (7 p.m. local time) for the second preseason game of the 2017 Patriots schedule. The game will be broadcast on CBS with Dan Roche, Christian Fauria and Matt Chatham (sidelines) on the call. It will also be live on NFL Game Pass and on 98.5 the Sports Hub, the Patriots flagship station with Bob Socci and Scott Zolak on the call. After a couple of spirited and tough practices against the Texans this week in West Virginia, the teams meet in a preseason game before doing it for real in Week 3 in Foxboro. Here are some of the things we’ll be watching for. Brady and the Healthy Starters Making an Appearance: Last week against the Jacksonville Jaguars, the Patriots sat 40 of their veteran players as well as some hurt ones. It would be difficult to imagine them sitting again and then having to play two + quarters against the Lions next week in the tune-up for the regular season. So this will be the first chance we get to see guys like Brandin Cooks and Rex Burkhead on the offense and established veterans like Julian Edelman, Chris Hogan, and James White will get to strut their stuff with Brady. I still don’t expect to see Rob Gronkowski this week. On the defense, that means seeing Stephon Gilmore and Malcolm Butler at corner this week with Pat Chung and Devin McCourty at safety. None of whom played a week ago. David Harris should see some action at middle linebacker tonight as well. The Offensive Line Will Have Their Hands Full: The Patriots know full well how tough the Texans front seven on defense is. They gave them all they could handle in the divisional playoff game in Foxborough last year. The joint practices were much more of the same. On Tuesday, the Texans defense carried the day, leading Brady to get heated on the sidelines. They were better on Wednesday but look for Houston to get after whoever is under center. Nate Solder, Tony Garcia, and LaAdrian Waddle are banged up and won’t play. That leaves Cameron Fleming protecting Brady’s blind side over left tackle. The team kept a running back in, right behind the left tackle to help out this week. When Brady is in, expect to see James White or Burkhead doing much the same thing. Patriots Wide Receivers Keeping the Pressure On: During training camp thus far this summer, the Patriots wide receivers have looked like a pretty dominant group. The versatility and depth make this unit fun to watch. This week will be our first chance to see them on the field together. Brady already has great chemistry with the likes of Edelman, Hogan and Danny Amendola. He’s approaching that (in practice) with Cooks who has been explosive this summer. While Houston’s front seven is a dominant type of group, the secondary has some question marks. At corner, they lost A.J. Boyue who effectively shut down half of the field in the divisional playoff game in January. And at safety is the Texans position of concern. They’re still searching for answers there besides Andre Hal who wasn’t terrific a year ago. 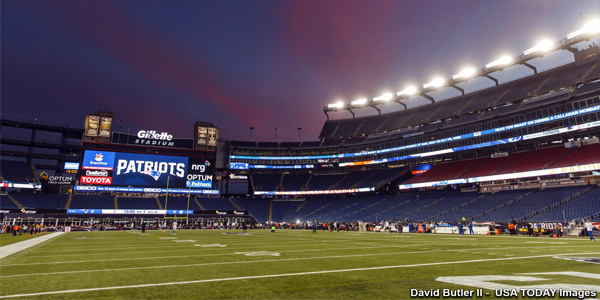 If there is a chance to stretch the field tonight, look for Brady to do so with either Cooks or Hogan. Once the starters give way, guys like Devin Lucien, Austin Carr and TE Jacob Hollister will be looking to continue their hot summers. All three would be, in a different time frame, in a great position to make the roster. With the depth in place, all three are having to make strides to make the 53-man cut down in two weeks. Patriots Edge Pressure, Where Does It Come From: We’ve mentioned the Texans front seven which is excellent and now the flip side. With the injuries to the two rookie draft picks, the Patriots are thin on the edge. Dont’a Hightower won’t play, so that leaves the team even thinner. Where does the edge pressure come from? This will probably be a question we’ll ask every week, but for now, veteran Trey Flowers who led the team down the stretch a year ago will be the guy who is expected to provide the most pressure. Look for the team to employ LBs Kyle Van Noy and Shea McClellin in more of a rush mode beginning this week. Rookie Harvey Langi, who is having a very solid camp will no doubt be tasked to do more of the same. One area where the team can help the edge players is to push the pocket from the inside where the Texans QBs, Tom Savage and DeShaun Watson can’t step up. That will fall to guys like Lawrence Guy and Adam Butler, the rookie UDFA who is stepping up his game. Bottom of the Roster Players Have a Great Chance to Shine: With the Patriots 90-man roster as deep as we’ve seen it in many years, the players who round out the Patriots roster will have a chance to strut their stuff against a playoff team from 2016 in the Texans. And that includes a couple of players who didn’t have their best moments against the Jacksonville Jaguars last week. Cyrus Jones struggled mightily on defense, and he’s clearly over-thinking things back there. That is something that has to be remedied. In essence, he’s the #5 corner, so he’s not expected to play much on defense. But he can’t let it affect his play in the return game. And he was lackluster there a week ago, tonight is a prime opportunity to erase those bad feelings. If he fails there, the Patriots have options. Both Danny Amendola and Dion Lewis are waiting in the wings if called. Time to step it up. Elandon Roberts and Jordan Richards both struggled a week ago, Roberts was reaching and filled the wrong gaps and Richards’ deficiencies in speed were put on display as well as taking a very poor angle on a 79-yard touchdown run. Both need to step up their game. As we mentioned above, the young receivers, Lucien, Carr, and Jacob Hollister have another prime opportunity to impress the coaches. Adam Butler and Conor McDermott on the offensive and defensive lines, respectively are players to watch tonight. 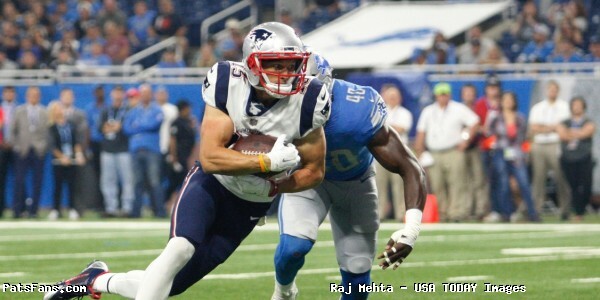 This entry was posted in 2017 Patriots PreSeason, Patriots Commentary, Patriots News and tagged 2017 Patriots Preseason, 2017 Patriots Season, 2017 Patriots Training Camp, 53 Man Roster Projection, Austin Carr, Bill Belichick, Brandin Cooks, Chris Hogan, Cyrus Jones, Danny Amendola, Devin Lucien, Dion Lewis, Dont'a Hightower, Elandon Roberts, Houston Texans, Jacob Hollister, James White, Jimmy Garoppolo, Jordan Richards, Julian Edelman, Malcolm Butler, New England Patriots, NFL, Patriots edge rushers, Rob Gronkowski, Stephon Gilmore, Tom Brady, Trey Flowers on August 19, 2017 by Steve Balestrieri.